Caramelized onions are an incredible addition to…pretty much everything. Stir them into mashed potatoes or wilted greens, sprinkle them on top of a pizza, or use them in one of our staff's favorite recipes: mujaddara (Lebanese lentils). Peel and julienne onions. Mist the inside of the slow cooker, place slice onions inside, and drizzle the oil over the slices. Cover and cook on high for 10-12 hours, until the onions have a deep brown color. 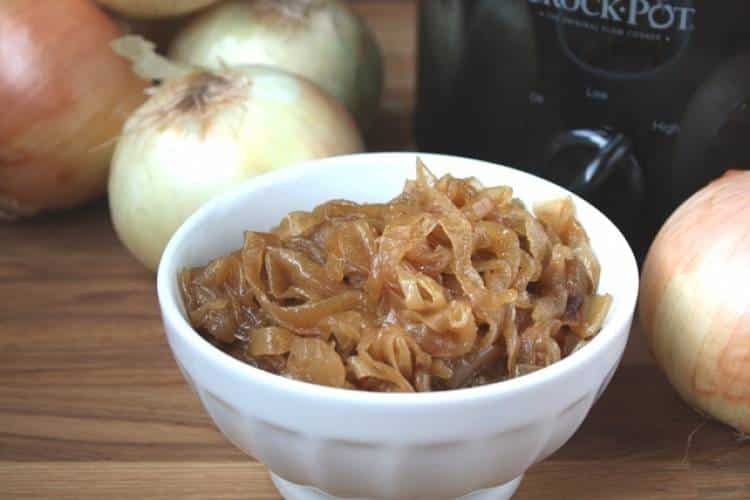 Note: Leftover caramelized onions can be stored in containers and refrigerated for a week or two. Or they can be frozen for up to 6 months.